After their successful re-issue of the Ian Fleming oeuvre, Amazon’s publishing house, Thomas & Mercer, are publishing the complete (sort of) tales of Simon Templar, aka The Saint. 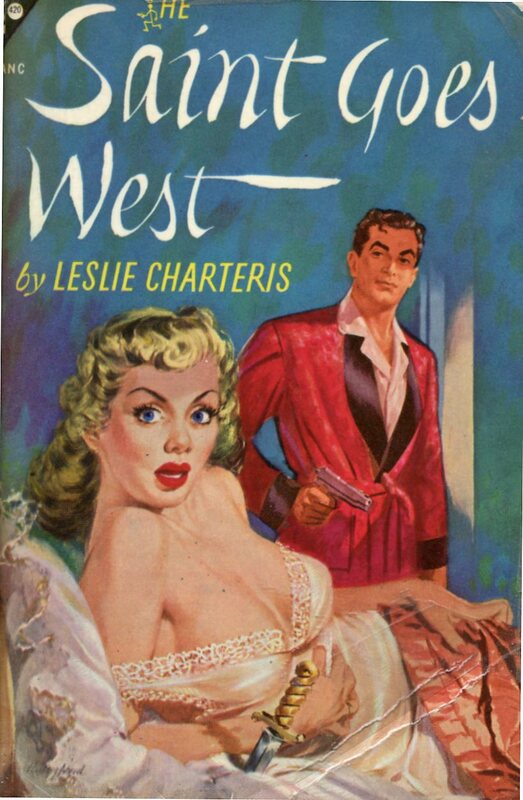 These were written by Leslie Charteris between 1928 and 1963. 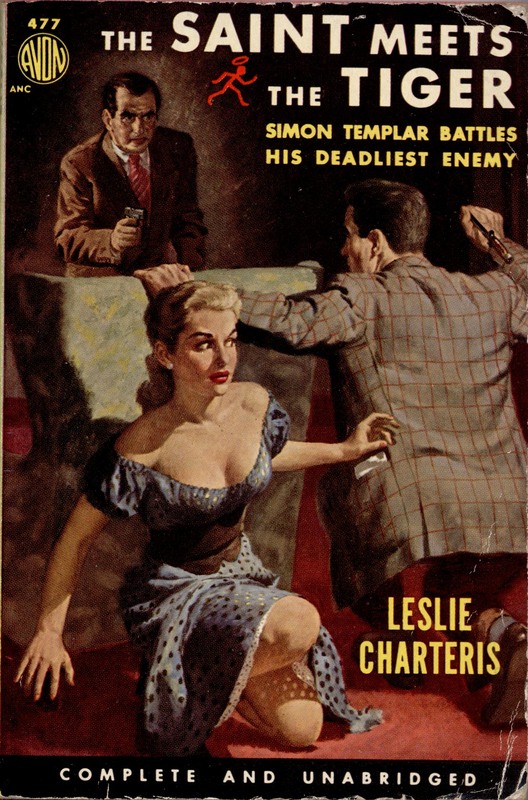 After that date, other authors collaborated with Charteris on books until 1983. Of course, The Saint has appeared in countless movies, radio programs, comic books and television shows. Although the new cover art leaves much to be desired (as did their Bond books), it does seem to be a quality uniform edition. The Saint stories came in three formats; the novel, the novella and the short story. Most of the novella’s and short stories were originally published in magazines and later collected into book form, with each book containing three or four stories. This was common practice at the time. 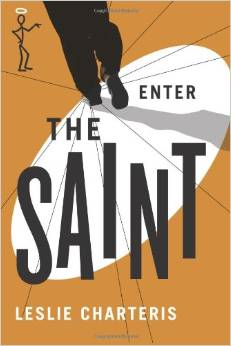 The new editions start with what was actually the second book in the series, Enter The Saint. The first book, Meet the Tiger, is missing for some reason (copyright? ), and they seem to be ignoring its existence (It’s happened before). Although there is some argument about the book order, depending on your source. Templar is a Robin Hood, anti-hero type criminal, of mysterious origins, who cracks wise and leaves his “calling card” of the stick figure with the halo at the scene of the crime. He targets “the baddies” of all stripes and gives most of his “boodle” to charity. As always, the literary Saint is much darker than the film version. Although in the early films he was portrayed by George Sanders, and that’s getting pretty dark. The Saint is a criminal, and has no problem with ruining lives or killing, if he feels it’s warranted. Since the series ran for such a long period of time, the stories and the antagonists change along with the times. In some stories he is acting as a straight forward detective, in others he is more in the confidence game sphere and others involve ingenious plots of revenge or pay back. In the early stories most of his activities are illegal although directed at villains. As time went on this became less so. Women, compatriots, antagonists come and go, and The Saint remains ageless. I am happy to see these books back in print in a uniform edition. At this point, I am having a difficult time putting the titles in the proper order, as the publisher seems to be taking a shotgun approach to publishing these stories. It doesn’t help that over the years, many of the books have been published in numerous editions with different stories collected under changing titles. But I’m working on it. If interested check out: The Saintly Bible, probably the largest Saint related website out there. Or, The Saint: A Complete History in Print, Radio, Film and Television by Burl Barer. Also go to Amazon and check out their reasonably priced new paperback editions of these wonderful old stories. This entry was posted in Film, Lit and tagged Leslie Charteris, Simon Templar, The Saint by Sir Edward Percival Fox-Ingleby, Bt. Bookmark the permalink. 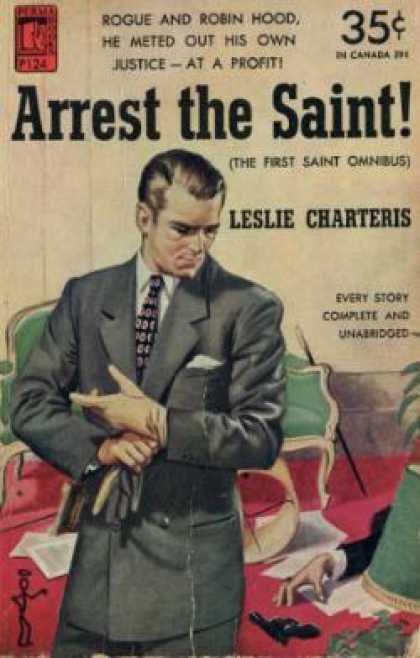 The Estate of Leslie Charteris wouldn’t grant the rights for Meet the Tiger–the first Saint book.